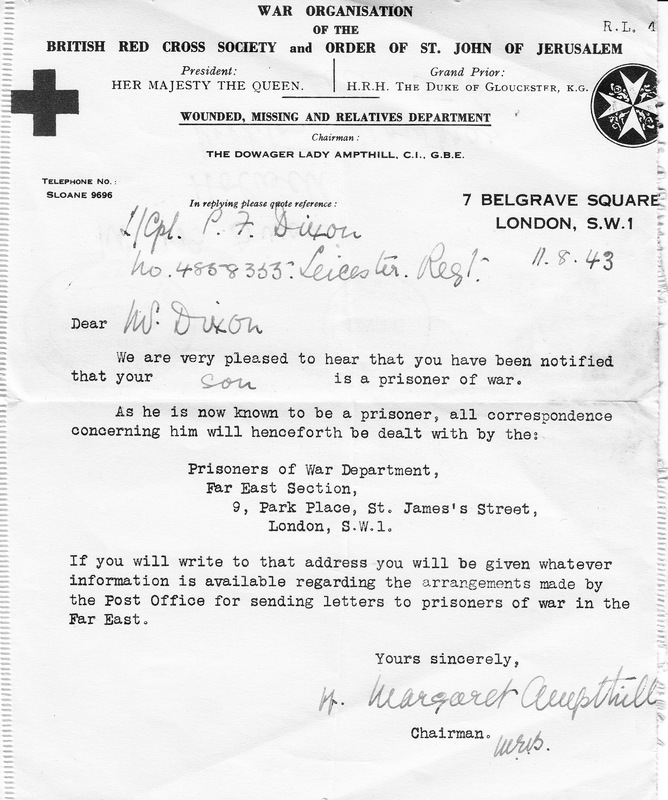 Philip was born in the Post Office on Main Street on 27th February 1921, son of Frederick and Lily Dixon. He attended Ab Kettleby School and then Melton Modern Boys School. 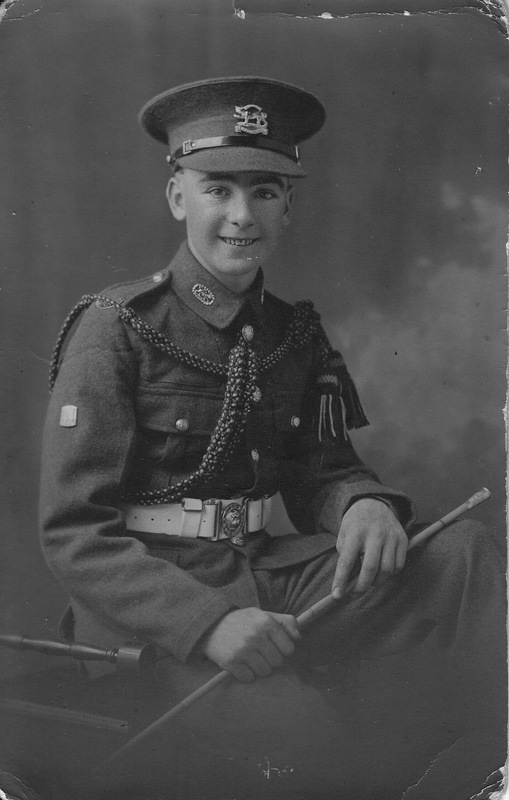 He clearly had an adventurous spirit because he enlisted in The Leicestershire Regiment on 22nd May 1937 at just 16 years of age, without telling his parents. 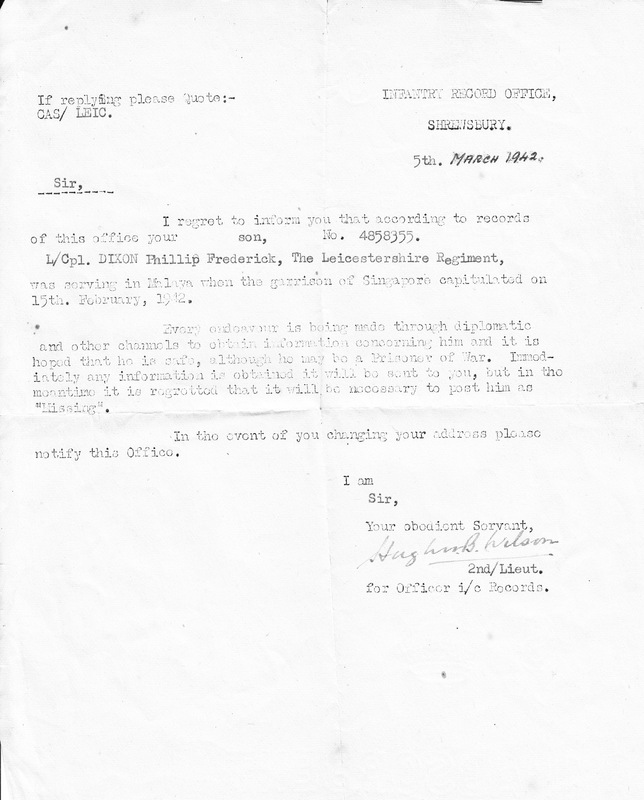 Philip was posted via Aldershot to the 1st Battalion in India in 1938 as a Bandsman. He took part in the Waziristan campaign on the North West Frontier in 1939, then moved with the Battalion to Penang in 1940 and at the Battle of Jitra, north west Malaya in December 1941. 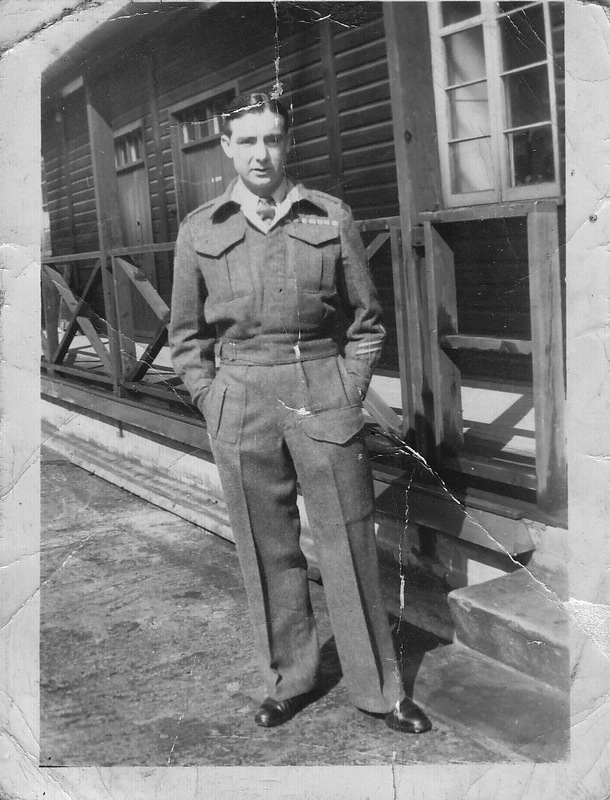 4858355 Philip Dixon was promoted Lance Corporal by August 1941. He took part in the fighting in the withdrawal down the Malay Peninsula to Singapore. British Forces were overrun with great loss of life. Philip later recalled “atrocities were many during the fighting, both to our men and to the Chinese”. He was taken prisoner at the fall of Singapore on 15th February 1942. After capture, he was taken to Changi, then River Valley Road Camp, working on the Japanese memorial there. He helped clear the Old Ford Motor Factory and worked on the docks at Pasir Panjang. 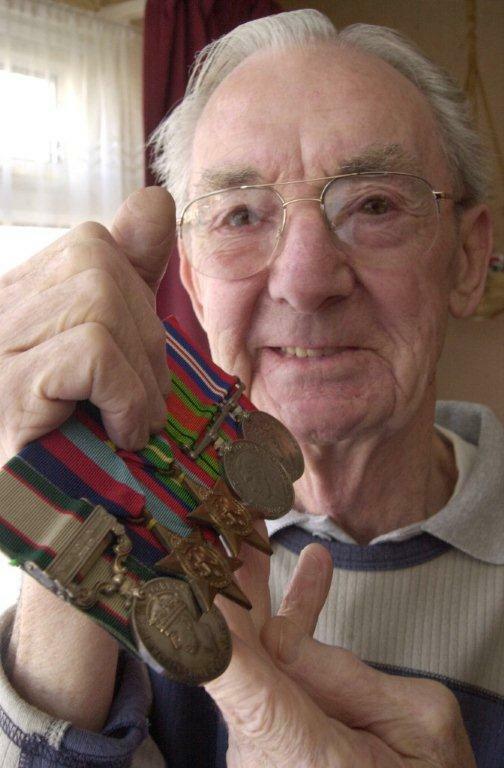 In March 1943, Philip was sent to work on the infamous Thailand-Burma Railway, based in many of its camps and he witnessed the rail link up in October 1943. Returning to Singapore, in June 1944 he was sent to Japan on the ‘Hoiki Maru’, working in carbide plants in Osaka and Kanose. 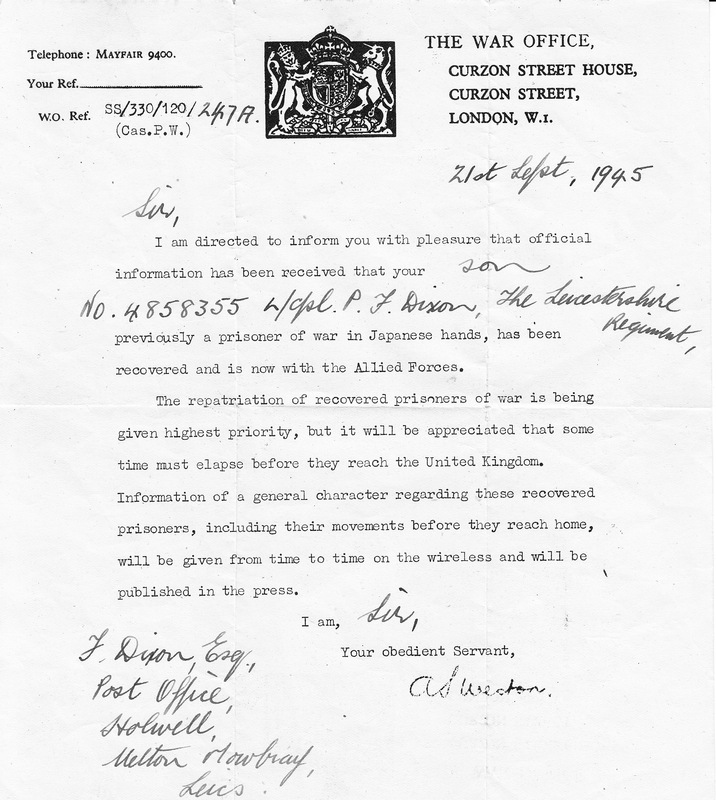 Following Japan’s surrender in September 1945, Philip returned to England on the RMS Queen Elizabeth via San Francisco to Southampton. After recuperation at Holwell, he was posted to Kinmel Park Camp near Rhyl in North Wales. There he met Nancy, whom he married in St Asaph on 7th January 1948. 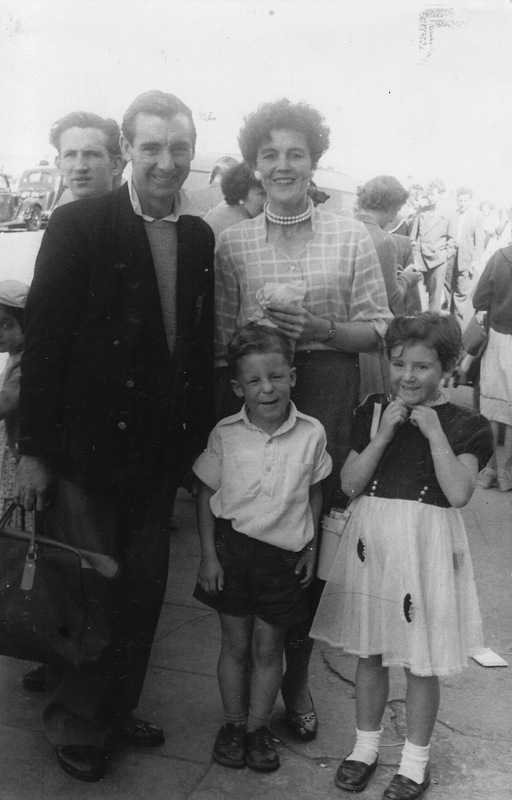 They settled at Number 4 on Nursery Lane in Holwell and had two children, Sonia born in 1949 and Trevor born in 1950, before moving to Melton Mowbray in 1963. Trevor sadly died in 1998 but Sonia still lives in Leicester and returns to Holwell from time to time. Nancy died on 3rd May 2001 and Philip on 17th March 2002. 2001 article in the Leicester Mercury about Philip and his time in Afghanistan here.